Let me start off by saying THANKS! I was blessed with a birthday card from the church on Sunday and yesterday I had a surprise at the Bible study. We met and Ben and Elaine’s house where Ben cooked up BBQ ribs, homemade ice cream and other sides. Clara Jo brought a birthday cake, Lucila brought in Pionono (Pastor Daniel called it Piosisi), Vera had brought some cookies and others brought food and fixings. It was great fun to eat with my church family. Thanks again! Yesterday afternoon Ashley and I took a drive in her car and stopped to take some photos of a wheat field just south of town. It is obvious that it won’t be long and we will see the harvest begin in these fields. 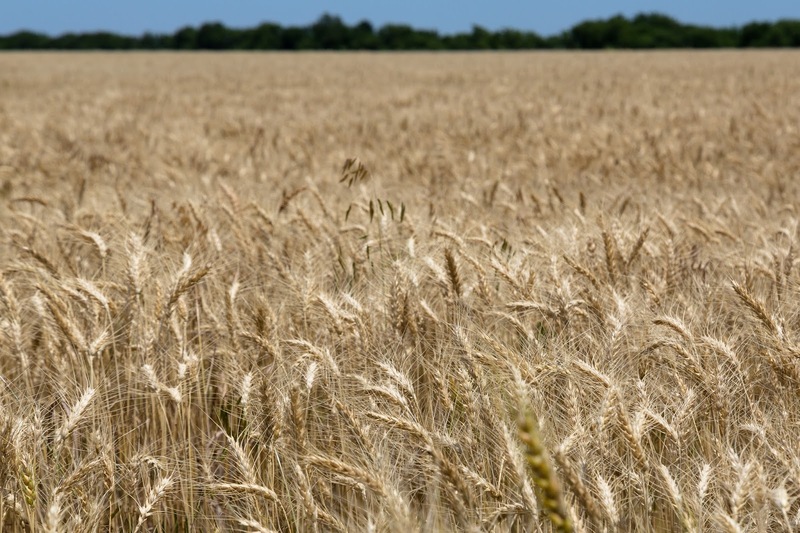 I was born in Kansas and have seen farmers and livestock and wheat fields all my life. Yet, I never seem to get tired of them. They are certainly Kansas. One day Jesus was talking to his disciples and He told them the fields were ripe and ready for harvest. 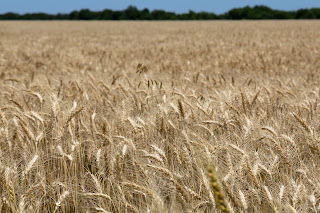 The thing that is true about ripe harvest fields in Jesus’ day as well as in our day also; is that they will not harvest themselves…fields do not harvest themselves. What the ripe fields needed in Jesus’ day is the same ingredient they need today…workers to bring in the harvest. Jesus does not say the work will be easy. Every farmer knows a good harvest requires lots of effort, sweat and short nights of sleep. Jesus said if we are doing His work we can expect, trouble and persecution; but we can also expect Jesus to go with us. John 4: 35-36 NLT) 35 You know the saying, ‘Four months between planting and harvest.’ But I say, wake up and look around. The fields are already ripe for harvest. 36 The harvesters are paid good wages, and the fruit they harvest is people brought to eternal life. What joy awaits both the planter and the harvester alike! This Saturday from 11AM until 2PM the youth group is having a Bake Sale and Car Wash at the church. The last several car wash that they have planned have been rained out. The purpose of these fund raisers is to help fund their mission trip to Ft. Worth, Texas. The purpose of the mission trip is to help our youth experience serving others while growing their relationship with Christ. If the Car Wash is rained out they will try next Saturday. Dan and Ron Henry delivered new kitchen cabinets for the Fellowship Hall kitchen on Monday. The trustees are working on a plan to get them installed and countertops made and installed. Once we complete this project we will have a church dinner to celebrate. World Mission Broadcast (WMB) began as the Nazarene Radio League in 1944 with the creation of the first international English radio ministry, Showers of Blessings, in 1945. Today, WMB produces 140 radio, television, and Internet broadcast ministries that include podcasts, texting, and chats in 37 distinct languages. These ministries currently reach beyond borders and barriers into 72 countries around the world. Every year more than 7,000 unique broadcasts are the conduit that lead people to a local church and into a personal relationship with Jesus Christ. It costs WMB just $4 to produce and transmit a one-minute message of hope. Through the Paglaum sa Kinabuhi (Hope of Life) radio program, Pastor Talon meets many people. The program has numerous avid listeners, especially those who have met Pastor Talon. The show often leads to speaking invitations, and Pastor Talon travels from village to village sharing the gospel. During one such trip, Pastor Talon met someone especially eager to hear the gospel. The man immediately proposed to donate a portion of his land for a church building. Residents of the mountain area now have a place to gather during the radio broadcast and for Sunday worship and fellowship.